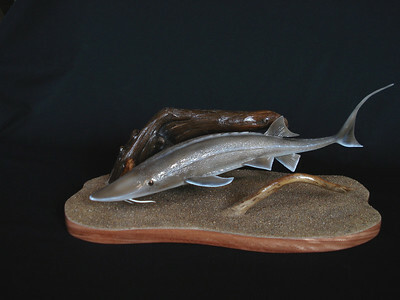 Examples of work by wildlife artist George Wright. 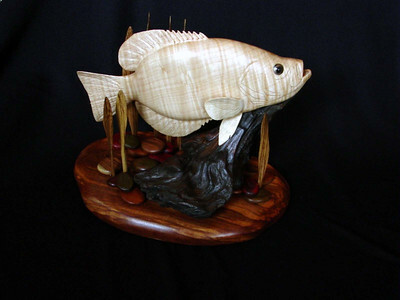 A lifetime of fishing and exploring Ozarks streams, rivers and lakes, a habit of careful observation , and natural-born curiosity combine to create George's unique vision. 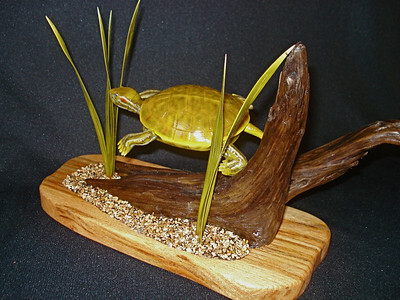 George's art begins with wood, carved to natural size and shape. 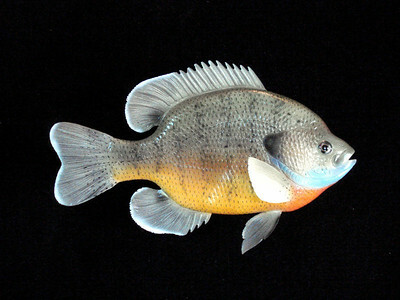 Next comes the paint, carefully built up in thin layers to recreate the natural coloration of his subject. 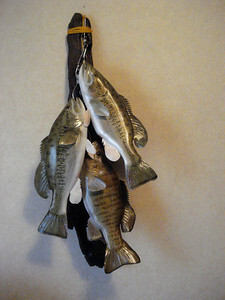 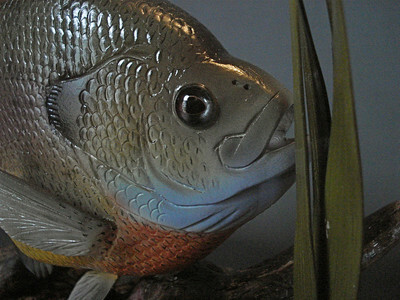 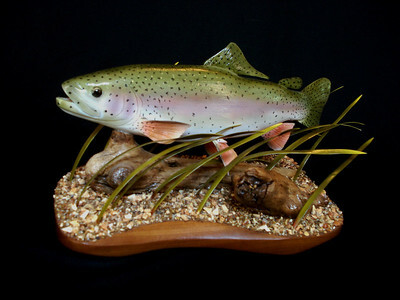 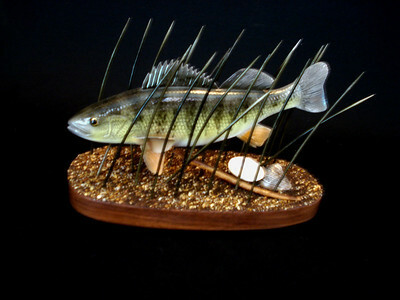 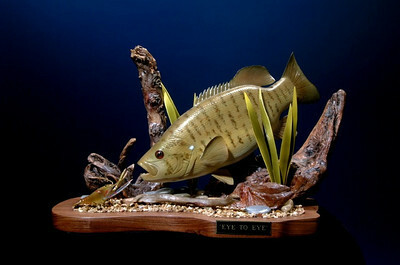 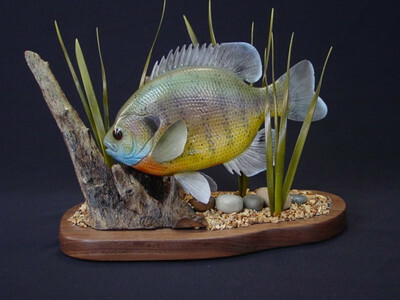 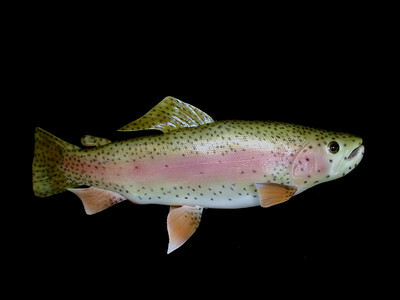 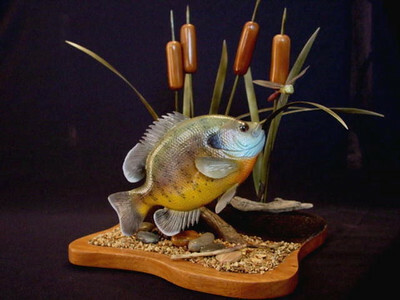 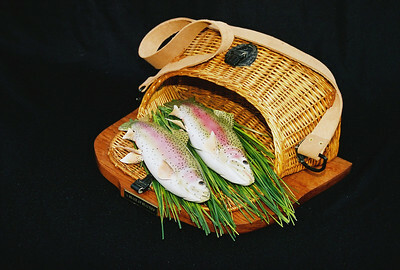 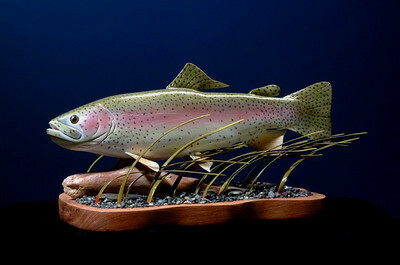 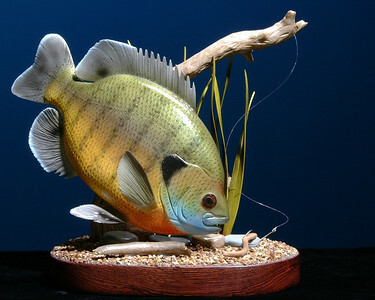 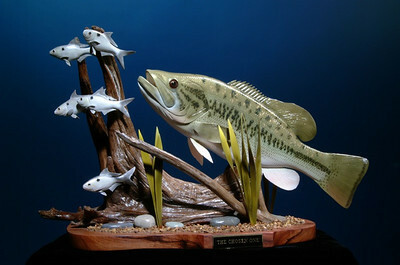 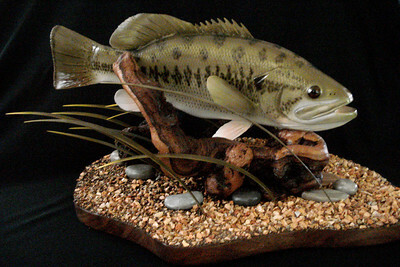 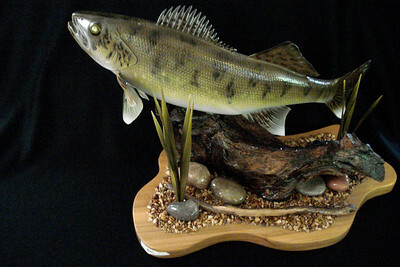 Finally, the work is complete when the fish is displayed on a table or wall mount, often surrounded by a natural habitat. 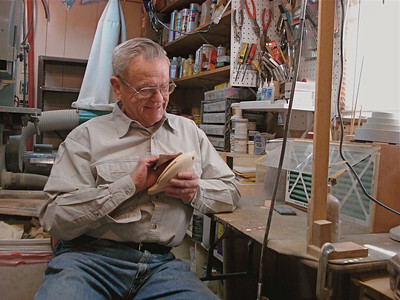 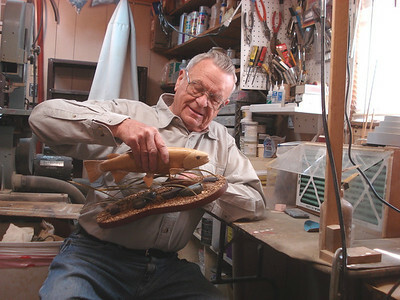 George Wright in his workshop, airbrushing color on a carved wood fish body. 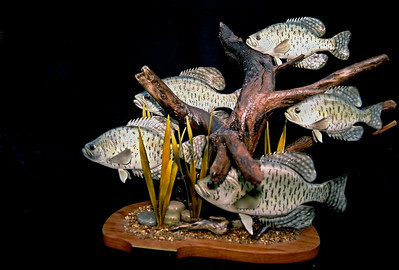 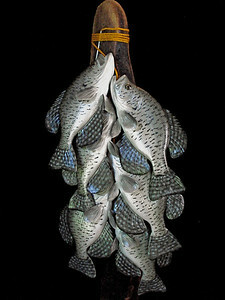 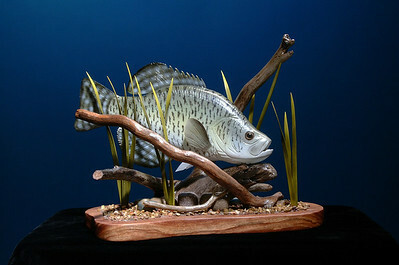 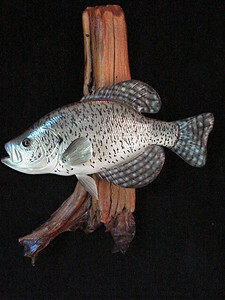 This crappie has a natural finish to show the beautiful patterned maple from which it was carved. 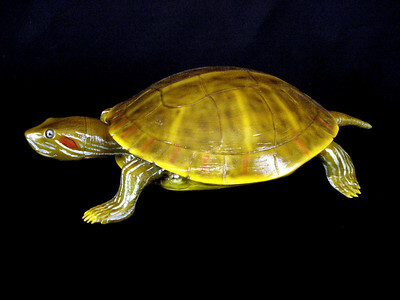 Wood carving of a turtle, carved and painted by George Wright. 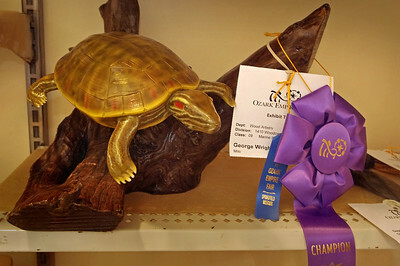 Ozark Empire Fair, July 31, 2012. 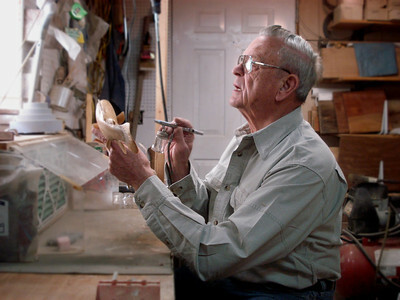 George Wright in his workshop, fitting a carved fish to it's habitat.